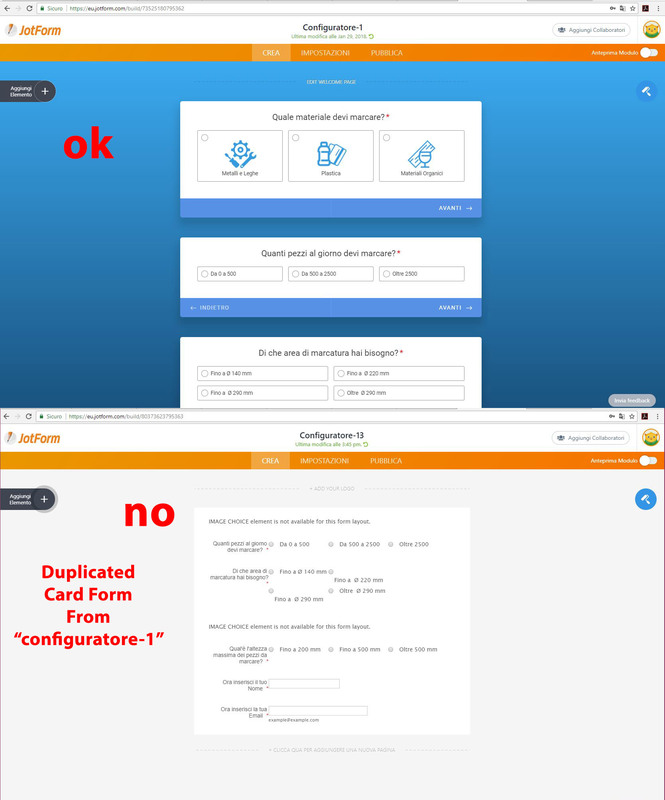 Hello I duplicate my card form named "Confguratore-2" and save it as "Configuratore-13", when I see the preview or I edit the new duplicated form I see it without graphic. 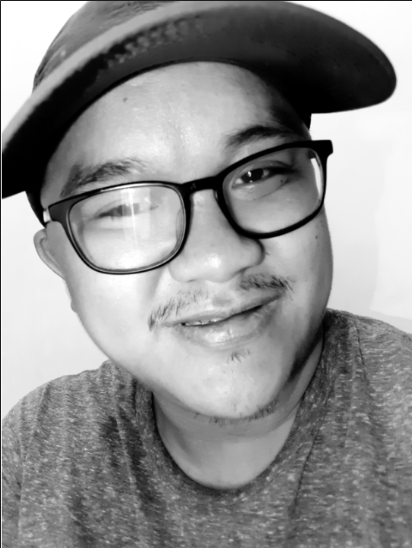 Thank you very much for your kindly support. The form at the bottom of the image you shared with us is on the "All Questions on One Page" layout. If you want to have a copy of the form that is the same as the one on the top, please see the screenshot below. 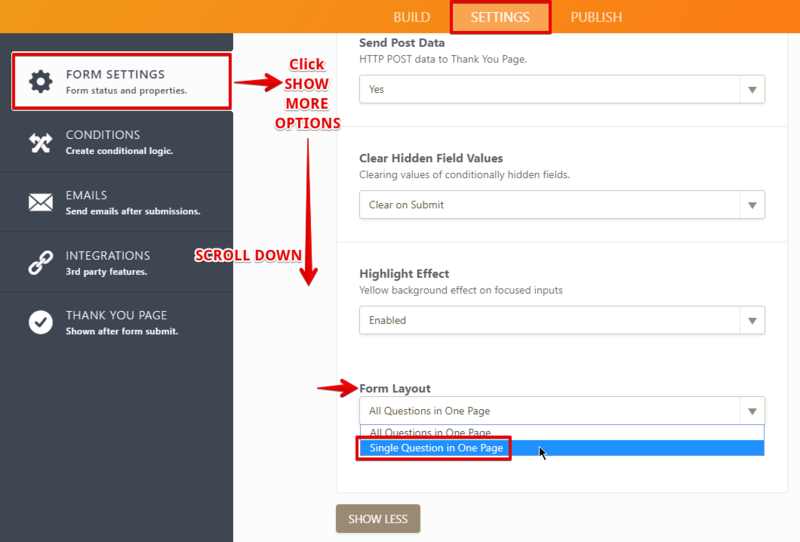 However, if you want to switch the layout of the existing clone version of the Configuratore-1 form in your account from "All Questions in One Page" to "Single Question in One Page" layout, please do what is shown in the screenshot below. I hope this helps. If you have other questions, please feel free to contact us again anytime. Thank you very much! great support like always.